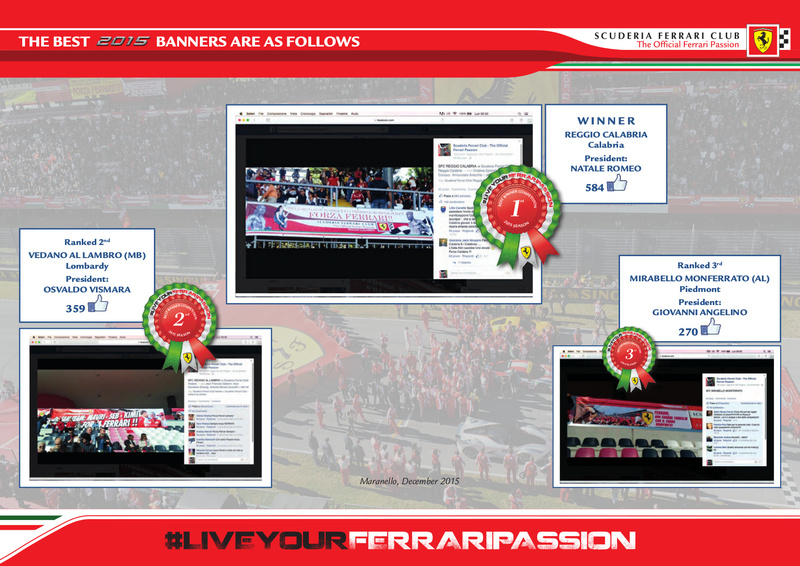 Each year, the Scuderia Ferrari Club organises a competition for the best banners made by Clubs in the course of the season in support of the Company as a whole and ranging from the F1 team to the promising young stars of the future in the Ferrari Driver Academy. 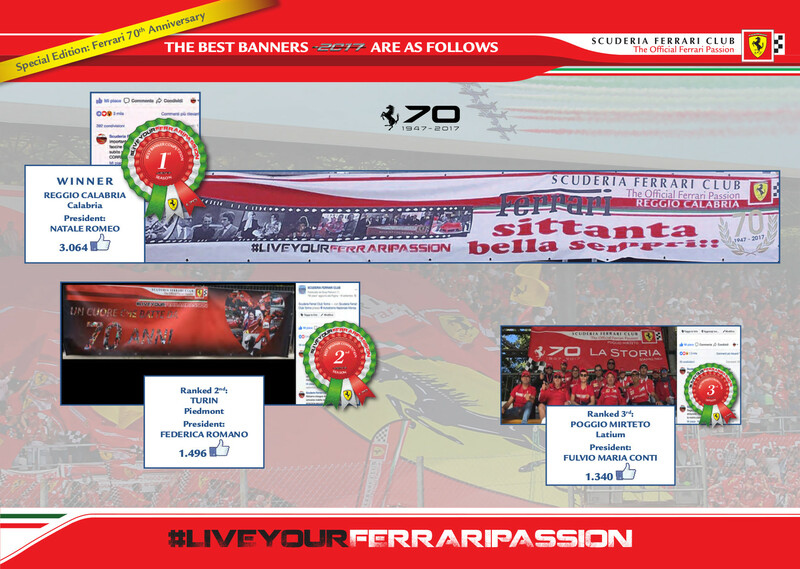 The 3 best banners from each season are selected on the basis of the number of “Likes” clocked up for each individual photo of the banners displayed and subsequently posted in an album on our Facebook page: www.facebook.com/scuderiaferrariclub. 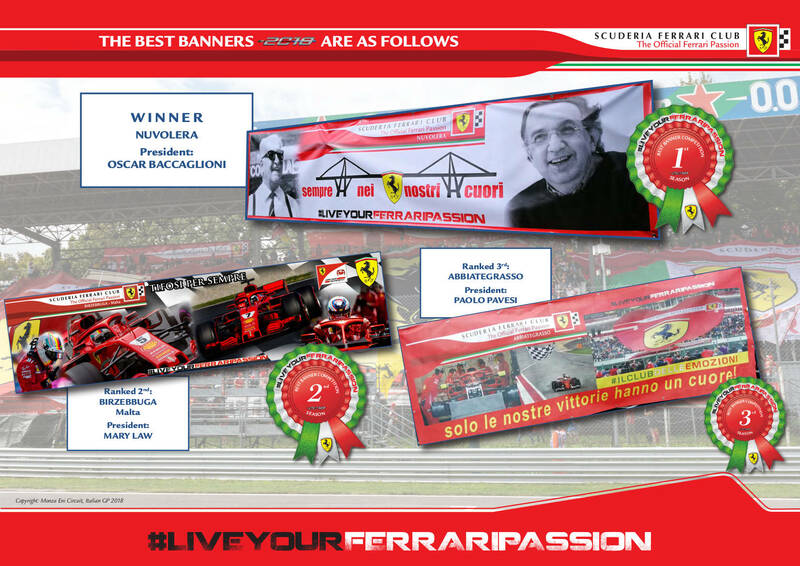 Below are the winners from the last 2 seasons. 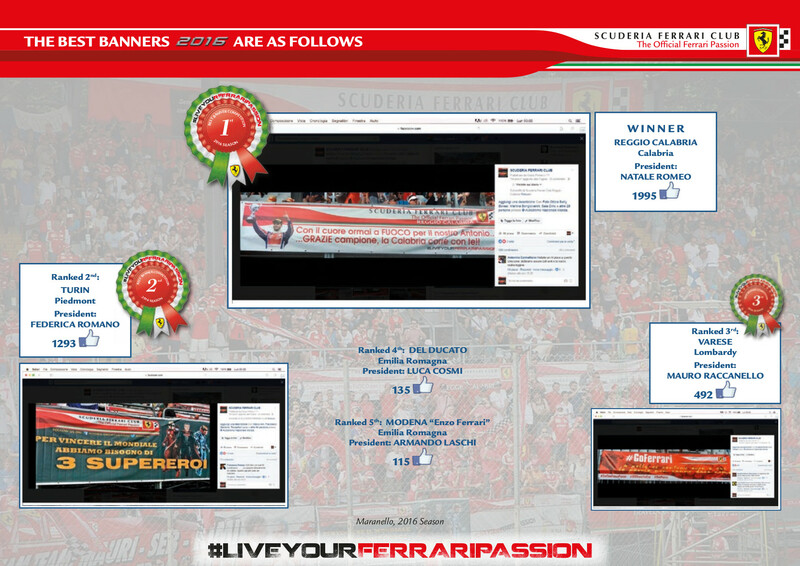 As you’ll see, the Reggio Calabria Club, which only joined the big Ferrari family in 2015, took the top spot in the rankings for the second consecutive year in 2016.